By now wax is old news. It's no longer the newest, strongest or most controversial cannabis product on the market. When it entered the landscape close to a decade ago, it was quickly adopted by marijuana enthusiasts across the country. Although finding wax was difficult when it first appeared, it’s no longer the new kid on the block. 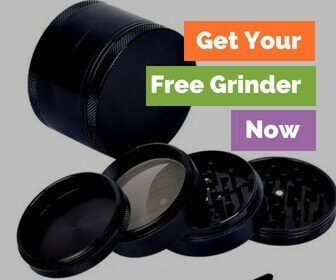 Depending on where you live in America, you can find it online and very likely at the dispensary around the corner. Wax is here to stay, but just how much THC is in wax? Marijuana wax came by its name because of its consistency and appearance. Have you ever seen it before in person, or smoked a dab? You’ll notice it has a thick, waxy like consistency, much like the wax in your ears. Nobody said its namesake was appealing, but it does very accurately describe what cannabis wax looks and feels like. It goes by many names, including butane honey oil BHO, budder, and honey oil. It's related to shatter and oil, although all have different consistencies. 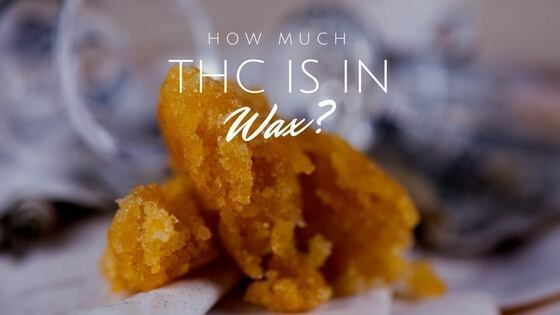 How Much THC is in Wax? Compared to straight flowers, how much THC is in wax? Like with all cannabis products, the THC content of wax varies quite a bit. According to a report from the Home Office in the UK, THC in a conventional bud ranges between five to 18 percent THC, with the mean THC hovering roughly 15 percent. But when it comes to concentrates, the THC content can get entirely out of control, which is why wax is used for dabbing. All you’ll need is a dab. Wax has been recorded to have between 60 to 99.99%THC. This potency is so popular that Buzzfeed report BHO accounted for 40% of dispensary sales in some places in California. It should be noted that there is no qualitative study on THC content in a concentrate like the one the Home Office put on on THC content in buds. The industry is just too new to have that much data to work with. Shatter, Oil, Budder, Wax…What’s the Difference? The difference between wax and the other concentrates like oils and shatters are the final touches during the production process. In production, they may have used different temperatures or taken a little longer; these are all methods through which an experienced cannabis cook can alter the final product. Whatever the end product, the extraction process removes all organic plant material from the final form. You won’t find any remaining leaves of bud in a wax. In fact, the only remnants from the original flower are the cannabinoids and terpene content. These are the reason why people love weed so much, and why people love wax. If you’ve never heard about wax before, it isn’t for the faint of heart. Its one of the most potent and THC laden extractions on the market today, but it hasn’t been around for all that long. One of the first mentions of a wax-like cannabis extraction is from a book called Hashish! Published in 1998. In the book, they discuss the merits of marketing pure weed extractions. The authors understandably felt that in the current economy, making hash concentrates (like hash oil), was just an easy way to cover up poor quality weed. In the early years, wax wasn’t a very tasty product, but it got you high. It was usually made by disreputable dealers, using butane gas, also known as lighter fluid. These producers didn’t care about the end-quality or health concerns of the final product, but they did care about how strong it was. Old school wax was meant to get you high but ignored most of the characteristics people looked for in weed today: flavor, medicinal properties, growing practices, and cannabinoids content. It was also extremely dangerous to produce in these backyard factories. If you didn’t know, butane is an extremely flammable substance, and in the early days, butane honey oil was responsible for many home explosions. In fact, in 2008 the California Appeals Courts decided that butane cannabis extraction was so dangerous that it needed to be prosecuted under the same laws as meth labs and PCP labs. Thankfully, cannabis concentrates have come a long way since 2008. These days wax is made from much more reputable companies. In many states who have introduced both recreational and medical weed legislation, there are rules and procedures to follow when making concentrates. For example, in Oregon, labs need to meet the strict guidelines to produce medical grade concentrates. First and foremost, companies need to ensure their products are tested for pesticides and leftover toxins, like any petrochemicals used during the extraction process. These rules ensure that the final cannabis product you consume doesn’t have any unhealthy contaminants, which would theoretically go straight into your lungs. Production facilities have also gotten much more legitimate; they are no longer hidden away in backyards and in dangerously unsafe working conditions. Concentrate production happens in state of the art labs. Again, in Oregon, producers have to follow strict regulations that meat the Oregon Clean Air and Clearwater Acts. There are also more ways than just the butane method to produce wax products these days. Yes, many commercial labs still rely on petrochemicals, like butane, to create huge quantities of oil, but when done correctly, the wax of today should still be much safer than the wax of old. When purchasing BHO from a dispensary, don’t be nervous about asking for the lab results; after all, you should know what toxins, if any, are lingering in the dabs you do. But if you want to avoid butane altogether, why not try rosin? Rosin wax is made without any chemicals at all; it relies on pressure and heat to extract pure cannabinoids into a waxy substance. Wax is a favorite of many consumers in the new age of cannabis. If not careful, you can have bad experiences on wax. While still nowhere near enough THC to hurt you, it can ruin your day. So how much THC is in wax? We’ve managed to get that number close to 100%. Smoking the 99.99% THC wax can help you save money by smoking less, but can quickly build up your tolerance.